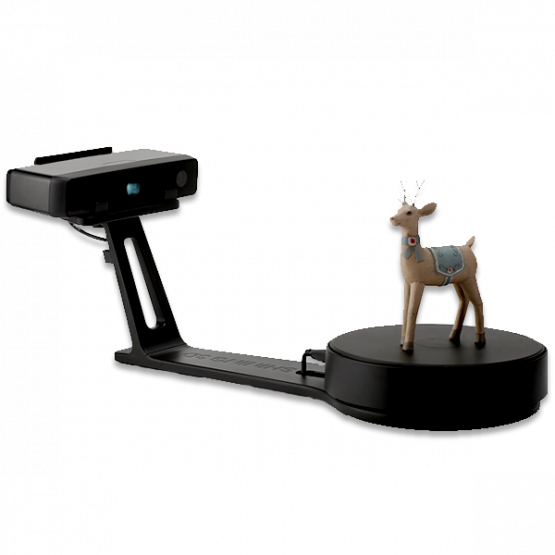 Enjoy an accelerated scan speed when you use the Handheld HD Scan Mode, while capturing even more levels of detail of the object. It’s ideal for cultural heritage preservation, archiving, restoration, where capturing every nook and cranny is vital. 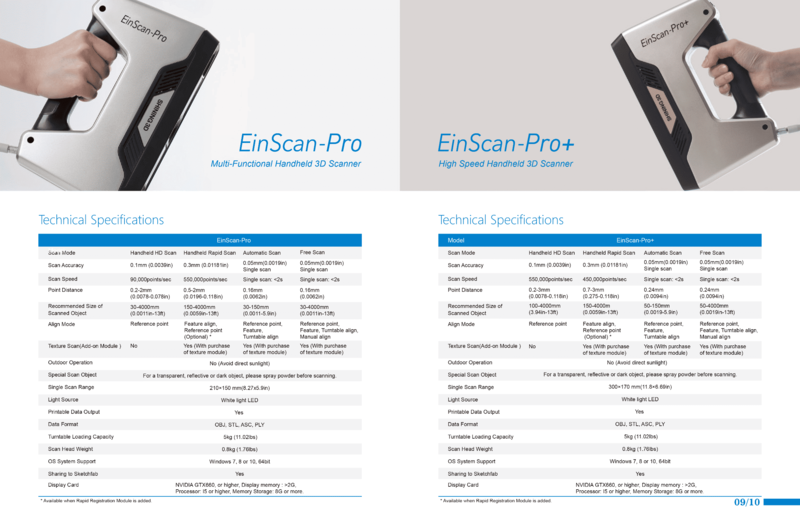 With all the same features of the beloved EinScan Pro, EinScan-Pro+ has been upgraded with a larger single-scan capture area and more data capture lines to give you faster and more efficient scans. 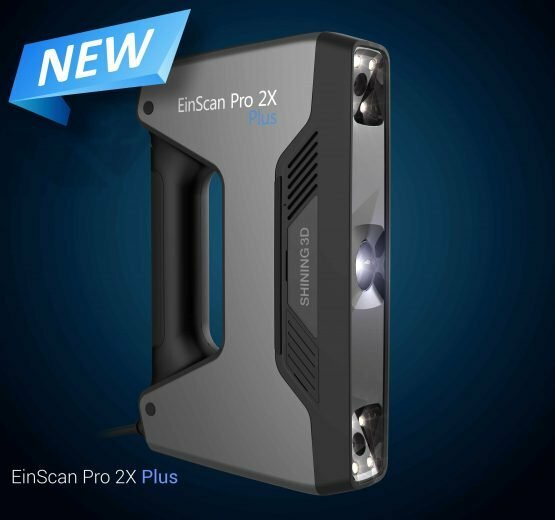 The EinScan Pro+ is a revolutionary all in one handheld 3D Scanner designed for capturing complex geometry. 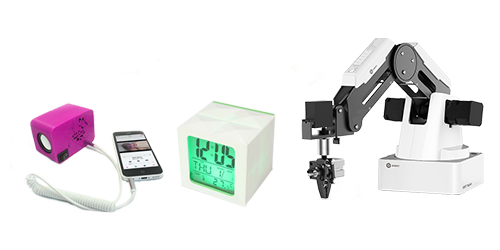 Featuring four different modes of operation, allows you to capture from small precision parts to large complex geometry. 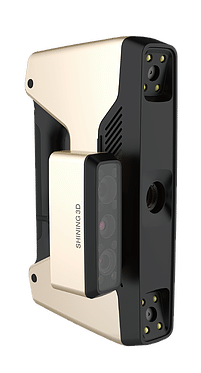 Well engineered and built for precision, portable and lightweight 3d scanning. 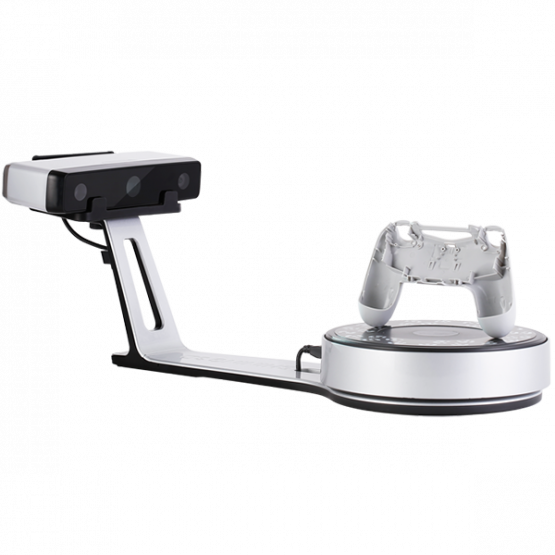 Fully-automated turntable with self-calibration, captures 360-degree scans in around 90 seconds. 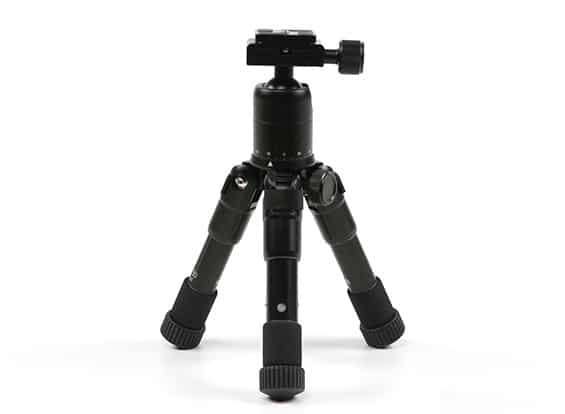 Mount the EinScan-Pro onto a tripod and you’ll be able to capture larger objects in HD. 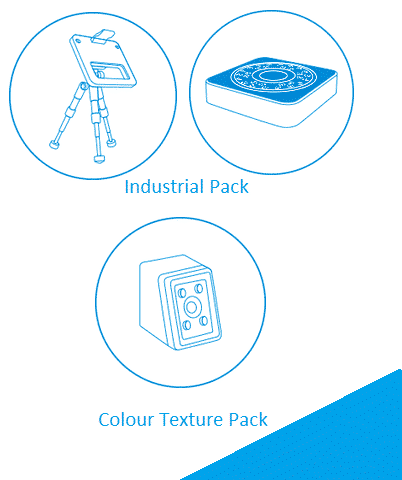 Attach the colour module and scan in brilliant colour with highly detailed textures. 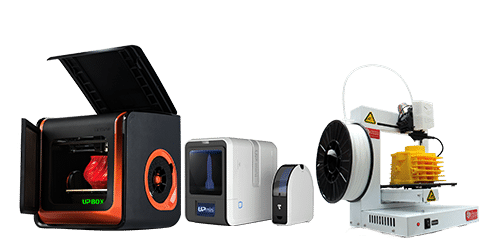 Well engineered and built for precision, portable and lightweight 3d scanning. Fully-automated turntable with self-calibration, captures 360-degree scans in around 90 seconds. 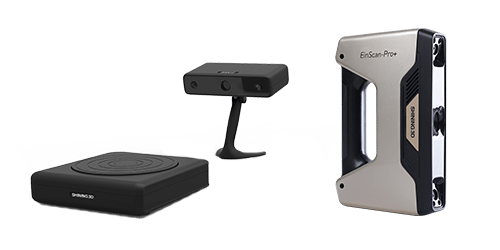 Mount the EinScan-Pro onto a tripod and you’ll be able to capture even higher resolution objects in HD. 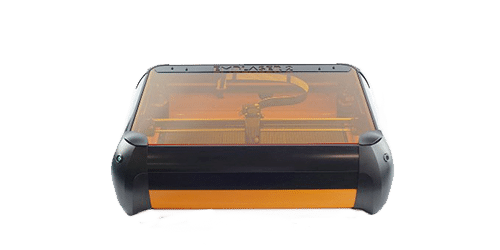 Attach the colour module and scan in brilliant colour with highly detailed textures. 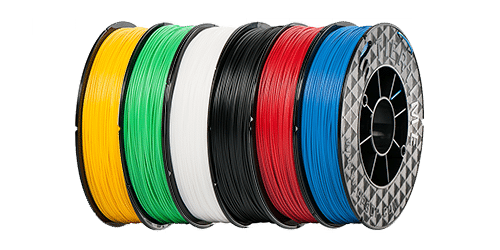 Save +/- 30% when ordering the packs at the same time with your scanner. Use baby powder or liquid vinyl spray to cover or coat objects that are hard to scan, like metal or glossy surfaces.